U2 debuted the “Songs Of Innocence” bonus track, “The Crystal Ballroom”, during their show in Chicago on Monday. The tune from the deluxe edition of the 2014 album appeared during the fourth of a five-night residency at the city’s United Center as part of the group’s “Innocence + Experience” tour. "The Crystal Ballroom was a punk club we used to play that was called McGonagle's in East Dublin,” he continued. “But historically it's called the Crystal Ballroom. That's where, historically, my mother and father used to go. I thought it was a bit weird we ended up at a punk club where my mother and father used to make out. Something just a little funky about that, in a good way." 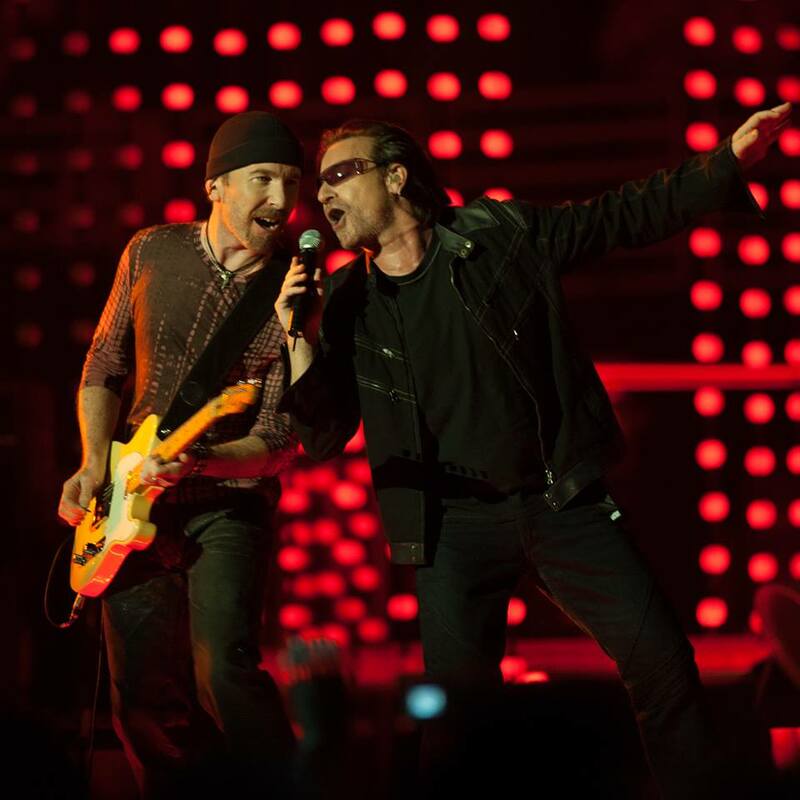 U2 will wrap up their Chicago residency on Thursday before heading to Toronto for a pair of dates next week; they’ll play four concerts in Boston before wrapping up the current North America leg with an 8-show run at New York’s Madison Square Garden. The band will enjoy a five-week break before opening a European tour in Turin, Italy on September 4.